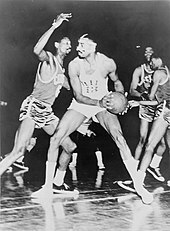 Leading centers of the late 1970s and early 1980s include Wes Unseld of the Baltimore/Washington Bullets, Artis Gilmore of the ABA Kentucky Colonels, Chicago Bulls and San Antonio Spurs; Moses Malone of the Houston Rockets and Philadelphia 76ers; and Robert Parish of the Boston Celtics, who was acquired from the Golden State Warriors in 1980 for the top overall pick in the NBA Draft. Unseld led the Bullets to four NBA finals appearances and one championship, in 1978. Using his strength and determination to compensate for his lack of size (6'7", i.e. 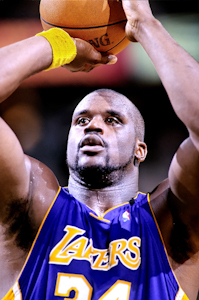 2.00 m), he was famous for his rebounding, shotblocking, and bone-jarring picks. Artis Gilmore, often overlooked because of the mediocrity of his teams, established himself as the best low-post scorer in the league. He set the NCAA Division I record for career average in rebounds (25.2) at tiny Jacksonville University, and enjoyed an illustrious ABA career before joining the NBA's Chicago Bulls in 1976, playing there until he was traded to San Antonio in 1982, for whom he played until his retirement in 1987. He remains the NBA's career leader in field goal percentage (minimum 2000 shots made) with a 59.9 percentage. Malone, the first high school player to turn professional, was drafted by the Houston Rockets after several years in the ABA, and won two MVP Awards and led Houston to its first NBA Finals in 1981, before joining the Philadelphia 76ers, where, teamed with Julius Erving and Bobby Jones, he won an NBA Championship in 1983, as well as a third League MVP. 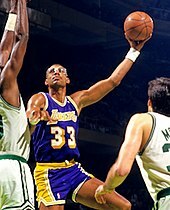 Never a dominant defender, his quickness and tenacity made him one of the best rebounders in NBA history, particularly on the offensive end; he led the league in rebounds six times in a seven-year period and still holds the NBA record for offensive rebounds. This page was last edited on 23 April 2019, at 12:30 (UTC).